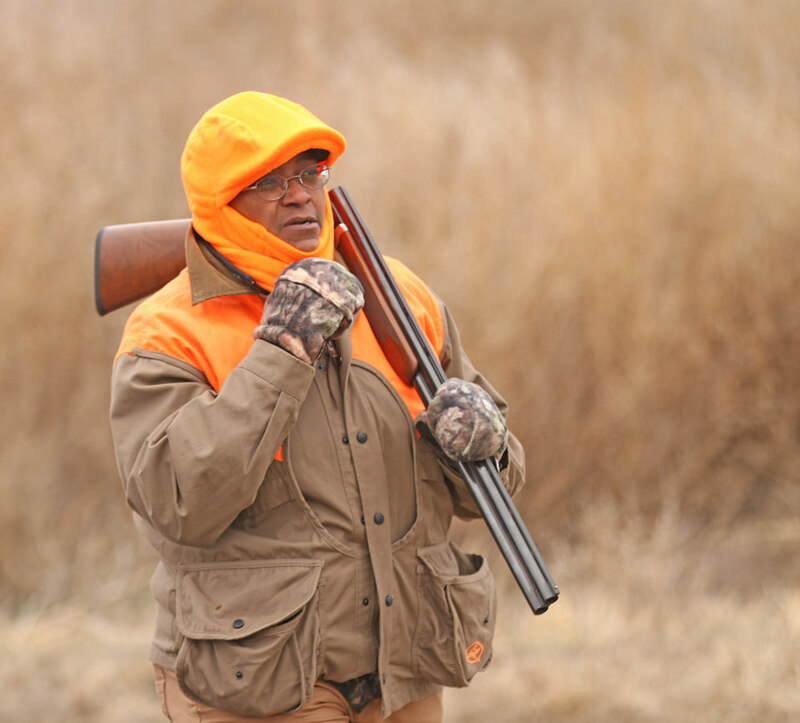 The 8thAnnual Kansas Governor’s Ringneck Classic, Nov. 16 to 18, saw pheasant hunters braving freezing cold temperatures while afield, but warming up to fundraising efforts afterward. 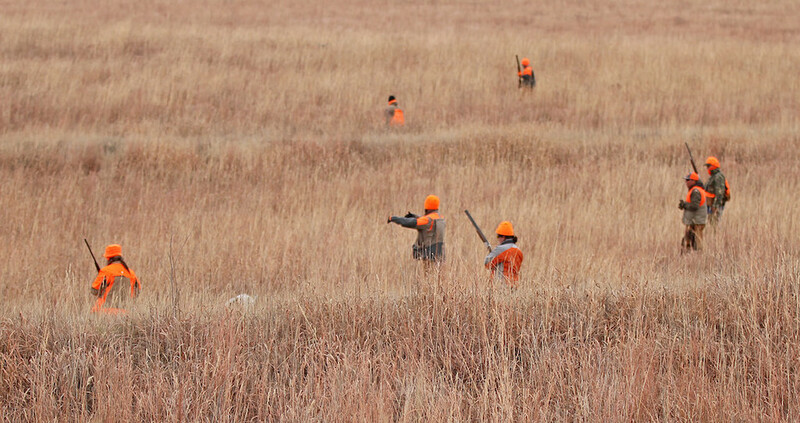 Hunters and guests from 14 states participated in this special hunting weekend, set in Colby, to bring awareness and dollars to wild pheasant hunting and conservation in Kansas. We think you’ll get an idea of the magnitude of the event, the beauty of the birds and the camaraderie of the teams from this year’s Classic, through these photos, taken by Rick Dykstra. Gov. 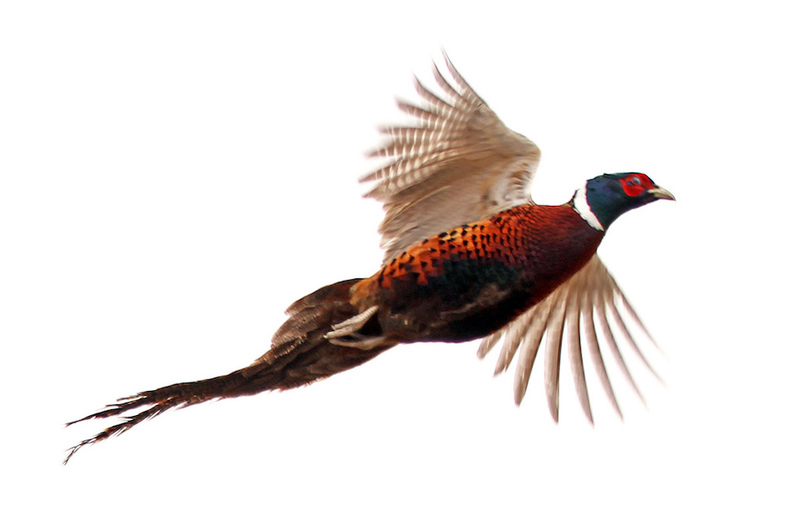 Dr. Jeff Colyer took part in the pheasant hunting and first night’s banquet. The governor addressed the banquet crowd and praised the efforts of the Classic for including youth in the weekend’s events. 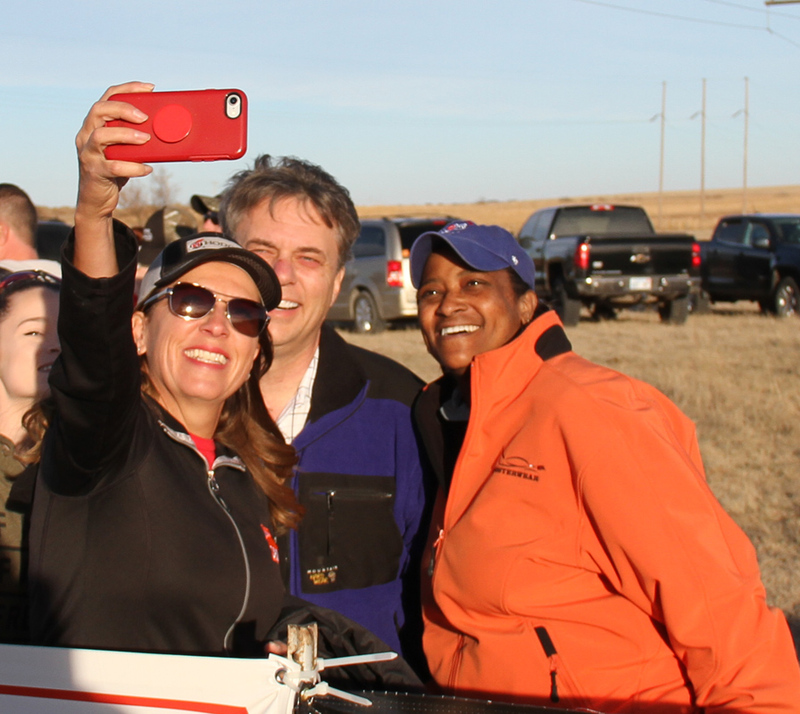 That’s Benelli shooter Dianna Mueller with the Kansas governor, Dr. Jeff Colyer, and Tisma Juett, doing a selfie out at the clay shooting range. 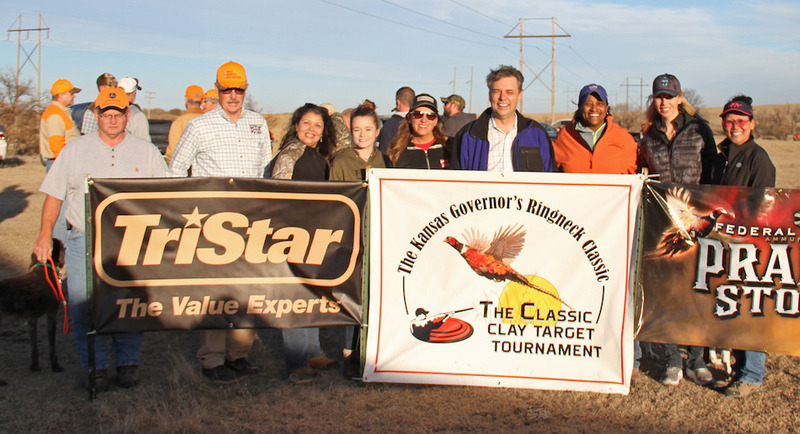 Since 2011, the Classic has generated more than $300,000 for local beneficiaries, youth, its partners supporting conservation efforts and the Northwest Kansas Conservation Foundation. The Foundation is the backbone of the yearly event. There were 11 women hunters this year in the mix, the most the Classic has seen. 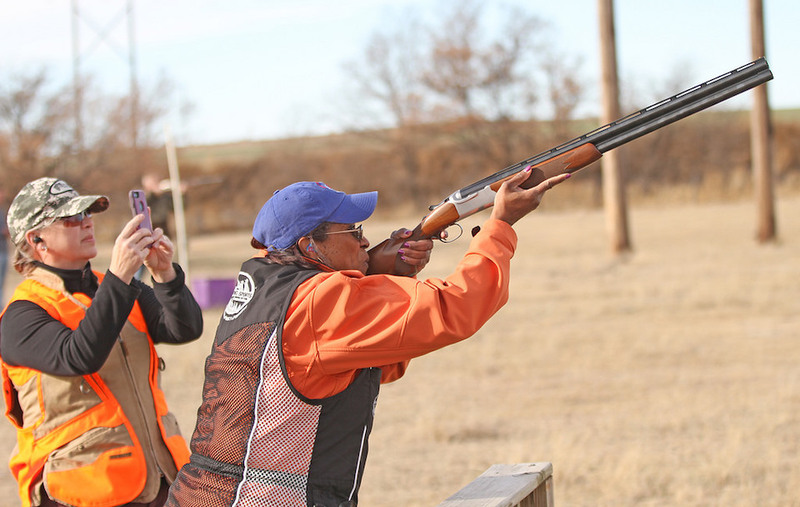 One of the teams, sponsored by the National Shooting Sports Foundation, was made of 4 women, including Dianna Mueller, Tisma Juett, Sharon Cundiff and Yim Szeto. Julie McQueen and Cheyenne Dalton joined the team. 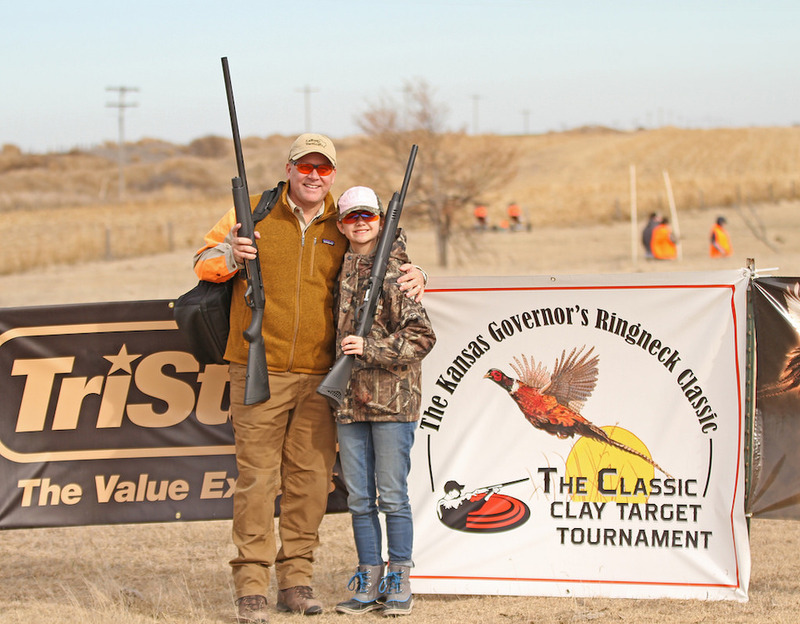 Kate Baxter, and her dad, Todd, a sponsor of the event, enjoyed time on the range and in the field together. 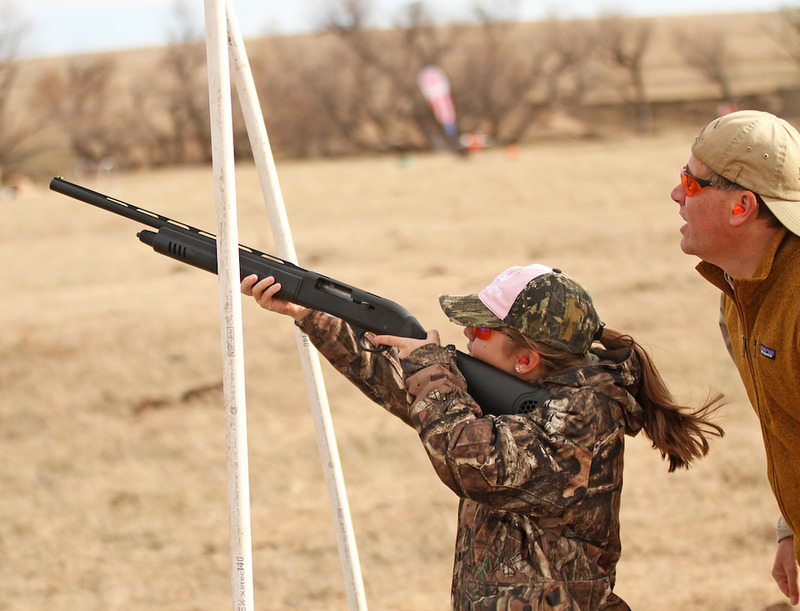 Kate Baxter had a coach on the clays range — her dad, Todd. She did well the next day and got her first rooster pheasant. Several partners came onboard to support the event: Colby Country Gun Trader (Colby, Kan.), Freedom Hunters, Pheasants Forever, Quail Forever Kansas Governor’s One Shot Turkey Hunt, Pass It On Outdoor Mentors, Patriots of Praise, Project Upland Thomas Country Community Foundation, Sweet Point Setters, “Women’s Outdoor News,” National Rifle Association, Kansas State Rifle Association and Kansas Department of Wildlife, Parks and Recreation. If you followed us on social media, you probably saw our pal, Tisma Juett, on the range and in the field. Here I am, videoing her in action. A special thanks goes to Chef Keith O’Dell and Jim Millensifer for the outstanding opening evening’s wild game dinner, which featured Special guest Hank Shaw, author of wild game cookbook,“Pheasant, Quail, Cottontail: Upland Birds and Small Game and special recipes from his collection. Held at the Tubbs & Sons Ford Dealership, which was especially decorated with a wild game theme, participants enjoyed a wide variety of culinary delights featuring pheasant, dove, elk, whitetail deer, prairie grouse, snow goose and wild turkey. I’m on the far left in this photo, and it shows the height of the grass that we walked through in some fields. Ringneck Classic / Northwest Kansas Conservation Foundation board members include Jim Millensifer, Raelene Keller, Keith O’Dell, Barry Kaaz, Scott Anderson, Bert Maxfield, Lana Johnson and Ringneck Classic administrator Laurie Millensifer. And then, overnight, it got beastly cold — down to about 13 degrees. Here’s Tisma, again. Here’s a shot of a rooster that is in descent into a field. Plans are being made for next year’s Ringneck Classic, to be held November 14 to 17. For more information about supporting the Classic, contact Jim Millensifer at (785) 953-1139. Julie McQueen was a guest hunter at this year’s event.